April is National Pet First Aid Awareness Month–a month we dedicate to teaching fellow pet parents about providing emergency care to their animals. 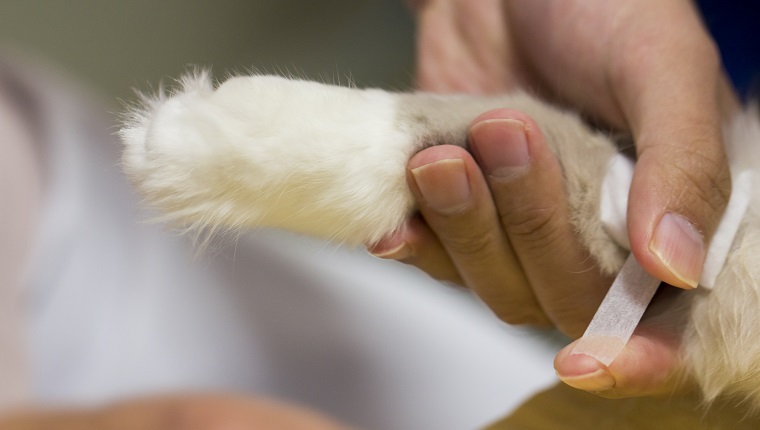 In general, it’s always a good idea to see your veterinarian if your pet gets hurt or sick. However, you may need to give your furry family member first aid until you can make it to the vet. Or you may find yourself in a situation where you’re far from the nearest vet’s office and need to give your pet emergency treatment. This is especially true if you and your pet are out camping or boating, you’re hiking in a remote area, or you happen to live on a farm or ranch where the nearest town is many miles away. Even if you spend most of your time at home and live near the vet, you should still always prepare for an emergency. You’ll rest a bit easier knowing you can give your pet first aid when it counts. The first thing all pet owners should understand is that prevention is the best medicine. While you can’t stop all accidents from happening, you can take steps to reduce the dangers and risks your pet faces every day. All pet owners should be familiar with household items that could cause choking, injuries, or accidental poisonings in their animals. These are some of the most common causes of emergency vet visits every year. Of course, you should also have a pet first-aid kit stocked and ready, just in case. If you haven’t checked your kit in a while, you may want to make sure that the supplies inside haven’t expired. If we don’t use first-aid kits for a while, sometimes we forget to restock them or replace expired items. This month is a good reminder to do that. You should also know how to use the items in your first-aid kit, as well as emergency procedures like the Heimlich maneuver and CPR. There are plenty of tutorials online, but the best resource for this information might be your veterinarian. Ask them for instructions. They’re usually happy to educate and help. For more information, take a look at the infographic below that describes common reasons for emergency vet visits, steps for prevention and treatment, and what to include in your pet first-aid kit. Do you have a pet firstiaid kit at home? Will you help spread the word for National Pet First Aid Awareness Month? Let us know in the comments below!